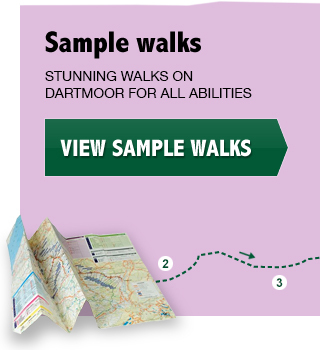 Anyone who’s been on one of my guided walks will know how important water is to Dartmoor. It’s the source of all but three of Devon’s rivers and those waterways are central to understanding the moor’s shape and character. Since medieval times (and probably much earlier), people used the water gushing off the hills for more than just drinking and washing. The evidence is all over Dartmoor in the shape of leats, manmade water channels which take water out of rivers and carry it – using the force of gravity - to places where it can be used. They range from little leats that bring drinking water to an individual farmhouse to major engineering feats such as the Devonport Leat which ran for 28 miles. They can be found winding their way around moorland hillsides, following the contours so that the water flows at a steady rate to the desired location. From the 14th century onwards, leats were built by the tinners to power blowing houses situated near streams, often in very remote locations. Here tin was crushed and melted into ingots, the water wheels powering the stamps for crushing tin ore and the bellows which made the fire hot enough to melt it. Standing by the ruins of blowing houses in a windswept valley, it’s quite hard to visualise all this in action. But the other day I had an outing which brought the genius of waterpower to life. 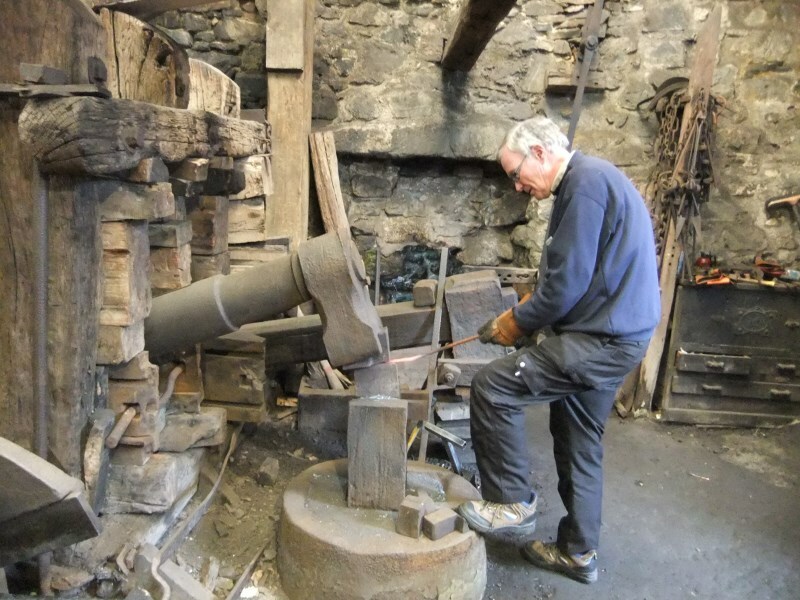 We’d gone to Sticklepath to walk along Belstone Cleave, and stopped first at Finch Foundry, a National Trust property which is the last working water-powered forge in England. The leat that powers it runs through the village (villagers could take water for their own use for ½ penny a year) and enters a launder, a wooden structure which feeds the water onto the wheel. We learned why this type of wheel (an overshoot) is so much more powerful than one where the water just runs beneath it: the weight of the water collecting in the buckets as they descend gives tremendous force to the wheel. And at quarter past the hour, the sluice gates are opened and the massive wheel set in motion. 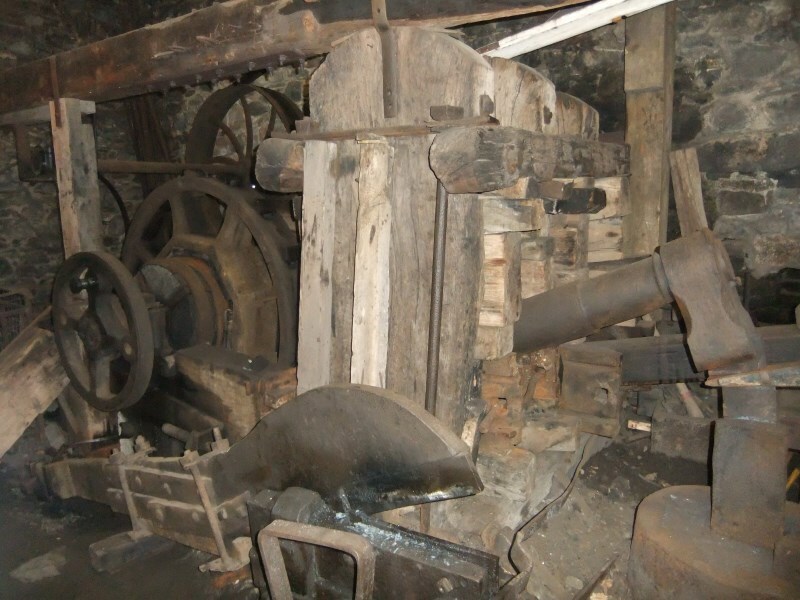 Mr. Finch bought the water-powered machinery second-hand in the 1830s, 20 years after taking over the mill. His workers were then each producing about 8 tools a day, cutting and hammering the hot metal by hand. 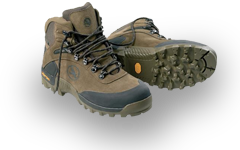 The quality was good and demand was high around the southwest. Investing in the machinery, made out of huge pieces of oak and brought down from the Midlands, enabled his workshop to produce up to 400 tools a day -- and we got to see how. The turning of the water wheel set a whole series of other wheels and cogs going, which in turn got the giant shears cutting and the hammers pounding away hundreds of times a minute. (The larger hammer is not activated as the noise and vibrations it produces are neither safe to old buildings nor bearable to modern ears.) But never mind the noise: here we were in this dusty, cobwebbed workshop witnessing the ingenuity of manufacturing industry, the beginning of the revolution that gradually transformed our world. 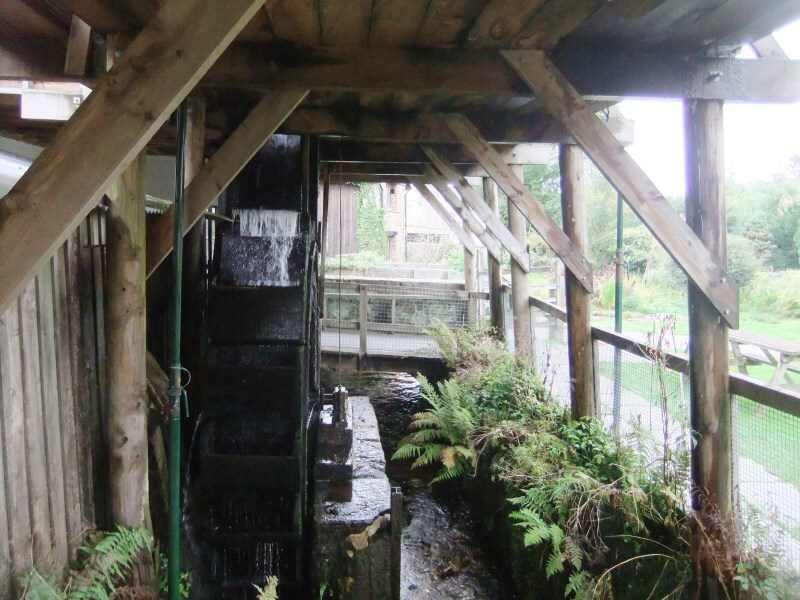 The water pouring off the moor activated machinery that hugely increased productivity, and then it gushed off to do the same thing at a woollen mill just down the lane.